B’towners have started off with the celebrations of Ganesh festival. 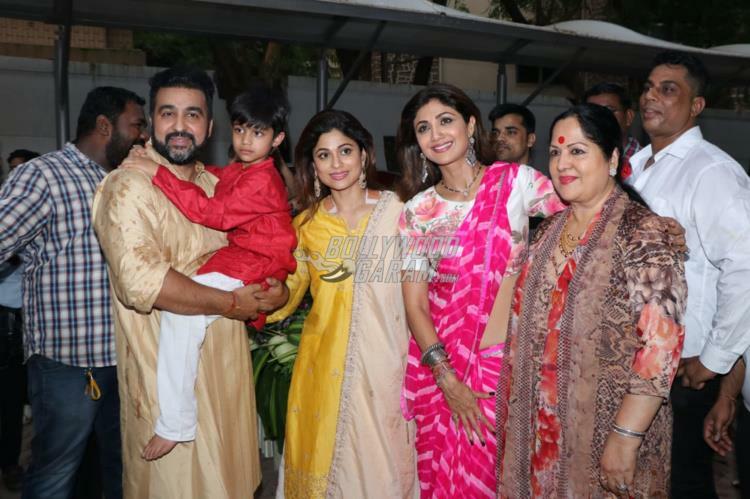 Actress Shilpa Shetty along with husband Raj Kundra other family members was seen seeing off the deity on the second day of the festival on September 14, 2018. 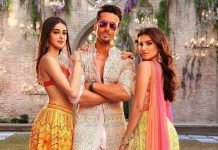 Shilpa’s sister Shamita Shetty and mother Sunanda Shetty were also seen joining the celebrations. The family was seen enjoying the moment when they submerged the idol in eco-friendly way in a man-made water body. 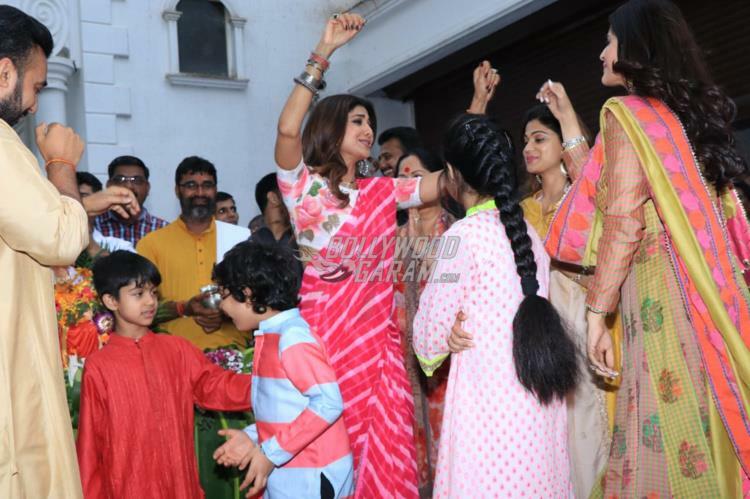 Shilpa looked pretty in a pink sari and was seen dancing to the tunes of some of the popular Bollywood tracks. 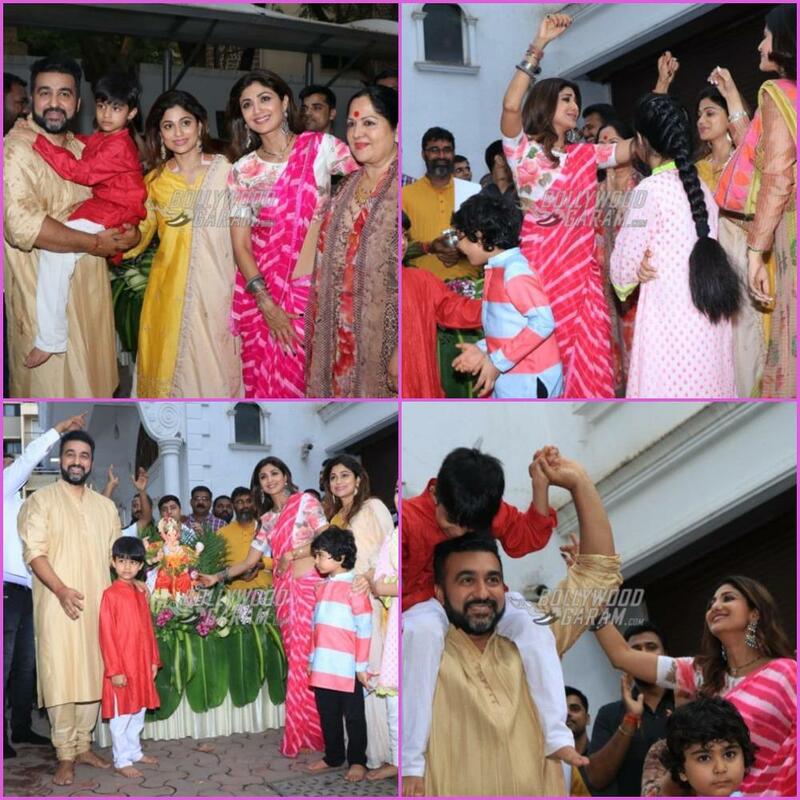 Husband Raj Kundra and son Viaan Kundra were also seen making the most of the celebrations. 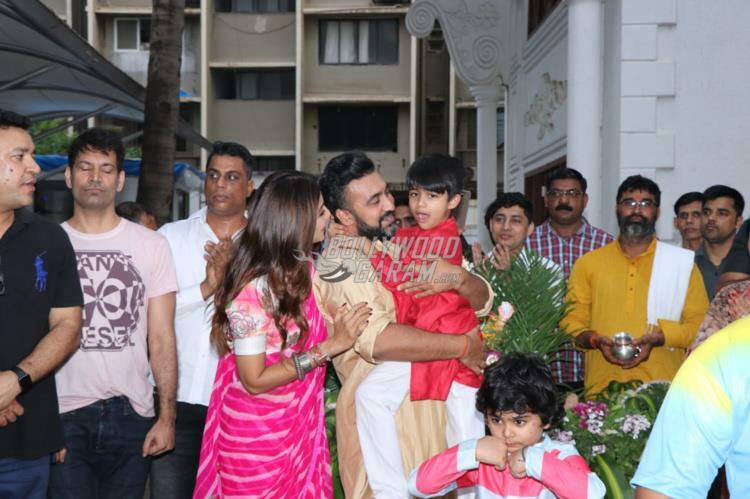 Viaan looked adorable in a red kurta and white churidar while Raj Kundra was seen in a golden kurta and pyjama. The family looked excited and did their best in terms of saving the environment. Shilpa Shetty and her family celebrated the first day of Ganesh festival in a grand way and completed a day and a half’s tenure in the most exciting way.